On July 1 of 2014, the world’s biggest advertiser officially killed marketing. As part of a big reorganization at Proctor & Gamble (P&G), every marketing team was renamed “brand management” and hundreds of marketing directors shifted titles to become brand directors. The change was deliberate, meant to describe the broader vision brand directors are meant to have over managing an entire customer experience instead of just promoting a product. This may be a sign of things to come, because it turns out senior marketing leaders at the world’s largest brands have been actively questioning the role of marketing in organizations for some time. Other executives at that event shared a similar vision of the changing role of marketing as well. Beth Comstock, CMO at GE suggested that her job was much more similar to a chief growth officer and Walmart CMO Stephen Quinn offered the view that CMOs really need to be chief innovation officers. The fact is, the traditional lines of marketing are starting to blur as it increasingly crosses the line into informing product development and research. Customer care and service is blending with marketing through social media engagement. Even the role of IT is shifting, as leading Gartner analyst Laura McLellan recently predicted that by 2017 CMOs will spend more on technology than CIOs. 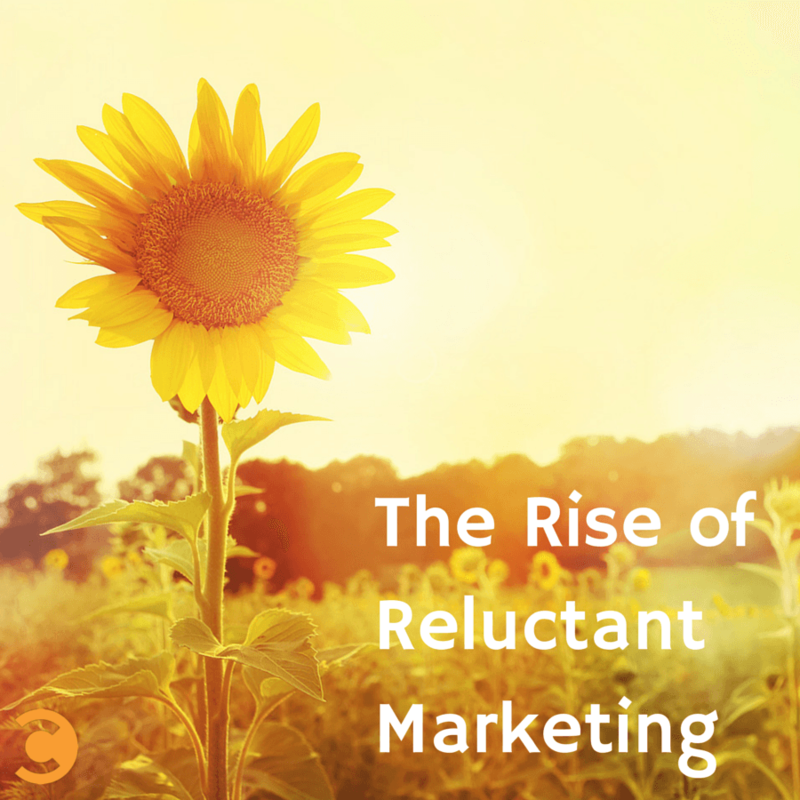 All of this flux is leading to a trend I recently wrote about and called the “Reluctant Marketer” – where brand leaders and marketing itself are steadily becoming less promotional and more useful and experiential. The fact that they are marketing at all is blended with a new desire to add value and offer something meaningful. Over the top “buy one get one free” promotional offers are replaced by “how to” style content helping someone learn to do something better. Insightful experts previously working behind the scenes at organizations can now take center stage as employee spokespeople adding value and answering questions. All these shifts are leading to marketing that is more human, believable, and trusted. In a world where the experience matters more than the offer, content marketing has become the ultimate strategy for reluctant marketers. The brand leaders of the future are not constrained by marketing, and increasingly take on a marketing-centric title with reluctance. Instead, these well-rounded leaders are imagining more open, less promotional, and more useful brand experiences that cross over from marketing into business operations and ultimately reinvent how customers experience products and services on every level. So what does this trend mean for your business? Every year, UK based fruit smoothie manufacturer Innocent Drinks hosts an open house at their offices outside of London to invite customers to share feedback and learn about the future direction of the business. It is a memorable experience, designed as much as a reward for loyal customers as a conversation starter for anyone choosing to attend. What Innocent Drinks does brilliantly is start a conversation about their product… and if you can do that, you have already won. Many reluctant marketers will have a background in other disciplines, from operations to finance to documentary storytelling. These outside skill sets can add big value, so a key priority of marketing leaders is to create a workplace where these sorts of intersections and integrations become commonplace and allow an entire team to escape the traditional confines of their own roles and broaden their collective vision. Google’s method is offering a day of flex time each week. Your method may not be quite as extreme, but offering some type of flexibility in how people can choose to spend their time is a key first step. This article is excerpted from the new Wall Street Journal best selling book Non-Obvious: How To Think Different, Curate Ideas & Predict The Future.